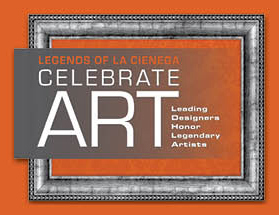 In its third year, the 2011 Legends event was presented by the LCDQ’s 50 member businesses which include the city’s most prestigious design showrooms, antiques dealers and home furnishings retailers located along La Cienega Boulevard (from Santa Monica to Beverly Boulevards), Melrose Avenue and Melrose Place. This year’s calendar of events was produced in association with the nation’s most prestigious shelter publications including ELLE DECOR, House Beautiful, Traditional Home and VERANDA. Local media sponsors included Angeleno, Angeleno Interiors, California Homes, California Home & Design, and Luxe Interiors and Design, with additional support provided by Flavorpill.com. 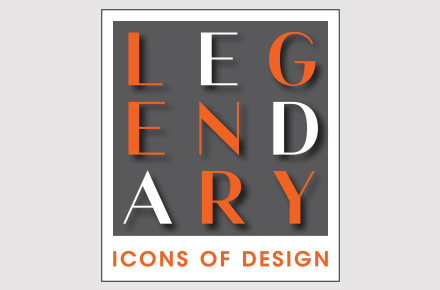 This year’s event featured new sponsors and partners, additional event programs, exciting new panel topics, and a new overarching theme – “Celebrate Art: Leading Designers Honor Legendary Artists”. To complement and reinforce this new theme, creative partnerships were formed with Audi, 1stdibs, One Kings Lane, Silestone by Cosentino, and the Mondrian Hotel. The event raised over $24,000 for The Art of Elysium’s Elysium Project, an organization whose mission simultaneously supports emerging artists and medically disabled children. • Legendary window displays featuring vignettes by top designers inspired by favorite artists, presented by One Kings Lane. 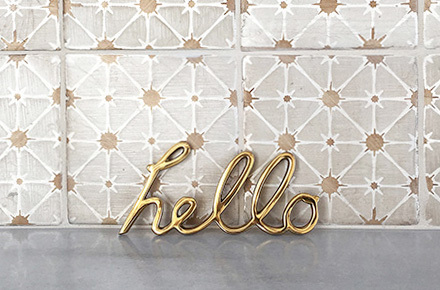 • Exclusive Opening Night Gala hosted by ELLE DECOR Editor-in-Chief Michael Boodro at Therien & Co.
• Kick-off Breakfast hosted by House Beautiful Editor-in-Chief Newell Turner at Baker Furniture. • Friday Night Cocktail Party hosted by Traditional Home Editor-in-Chief Ann Maine at Lee Stanton Antiques. • Finale Celebration hosted by VERANDA Editor-in-Chief Dara Caponigro at The Melrose Project. • Luxurious VIP Lounge and Green Room hosted by Silestone. • Complementary Valet Parking and Shuttle Service hosted by Audi. • Special One Kings Lane Tastemaker Tag Sale featuring LCDQ member items benefitting The Art of Elysium’s Elysium Project. • Exhibition of large-scale works by artist Anthony James, curated by The Art of Elysium’s Elysium Project. • Lively educational panel discussions hosted by the nations leading editors, presented by 1stdibs. • Special preview of the 2012 Audi A7. • Special travel offers and room rates available from Mondrian Los Angeles Hotel. Plans are already underway for Legends 2012. Be a part of this exciting celebration. Contact us for details!